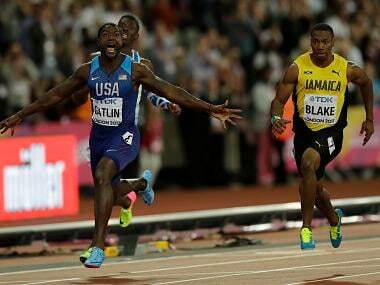 London: Justin Gatlin ruined Usain Bolt's farewell party when the 35-year-old American won the world 100 metres title on Saturday, beating the Jamaican superstar into third and sparking a chorus of boos from a London crowd unhappy with his doping past. In women's 10,000 m event, Ethiopian Almaz Ayana destroyed the field to win at the World Championships on Saturday, finishing around 300 metres clear of her rivals in her first race of an injury-plagued season. Ayana's compatriot Tirunesh Dibaba, the former world and Olympic champion, added to her impressive collection of medals when he took the silver with Kenya's Agnes Tirop in third. Another star of Day 2 was Andrius Gudzius, a one-time junior prodigy, who finally fulfilled expectations to shock the big names in the discus and take gold at the World Athletics Championships on Saturday. 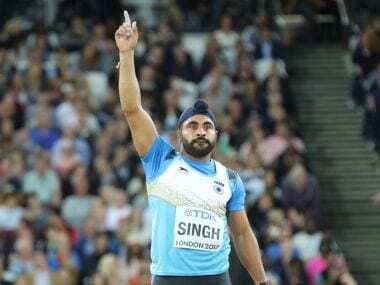 The 26-year-old, who had won the world junior title back in 2010 but had never since come close to threatening the elite in his event, prevailed with a second-round throw of 69.21 metres, the best of his life. Gudzius, whose previous best performance in the senior ranks was a European Under-23 triumph in 2013, showed little emotion as he became only the second Lithuanian man ever to win a world title following his great discus throwing predecessor Virgilijus Alekna. In men's long jump, South Africa's Luvo Manyonga won the title on Saturday, making up for the disappointment of missing out on an Olympic gold in Rio. 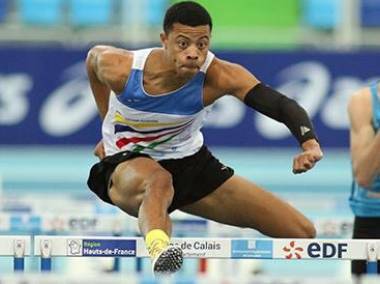 Manyonga, who only returned to formal competition last year after overcoming a drug addiction, led the final from the second round with a leap of 8.48 metres - the third best mark of 2017. The bronze was taken by Manyonga's compatriot Ruswahl Samaai, the leader in the Diamond League standings, who jumped 8.32.